The fairway slopes from left to right so use left sidespin and a small amount of curl. Try to find the right pocket on the right side of the fairway. This approach will give you a shorter approach to the green. 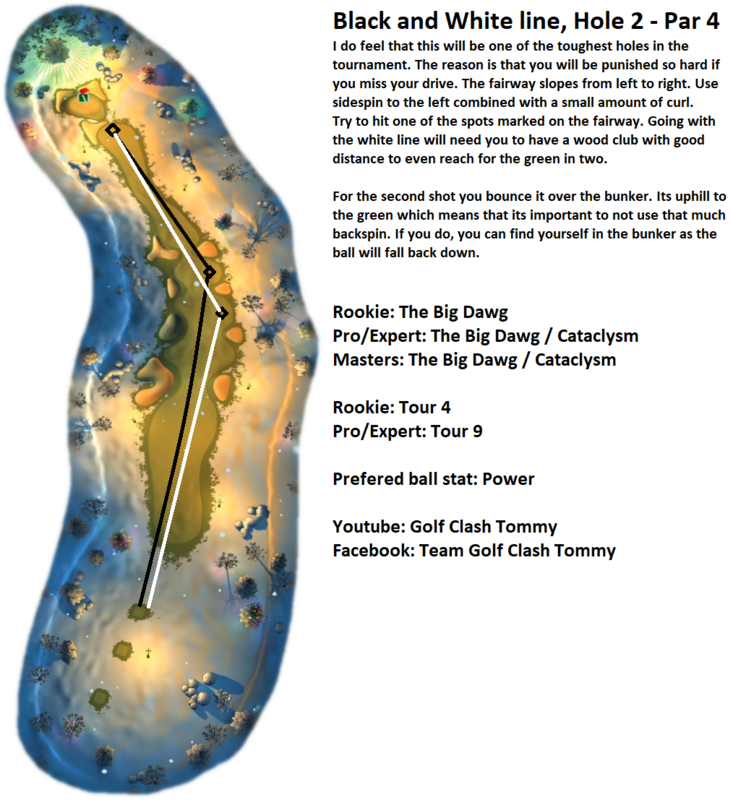 Bounce your second shot over the bunker. It's uphill to the green from there so it's important to not use that much backspin or you may find your ball falling back down into the bunker. A similar approach to the Black Path but you can find the shorter pocket on the right side of the fairway. This means you'll absolutely need all the distance you can get out of your wood.